Civil Investigative Demand vs. Subpoena - Oberheiden, P.C. Not all requests for information are created equal. When federal and state authorities are investigating health care providers and other entities for suspected fraud and abuse, they have a variety of tools at their disposal. Existing under varying sources of statutory authority, each of these tools is subject to its own unique set of rules, limitations, and procedures, and each offers government investigators different benefits under different circumstances. If someone within your business or practice has received a formal request from the U.S. Department of Justice (DOJ), a federal Office of Inspector General (OIG), a state Attorney General’s Office, or any other state or federal investigative or law enforcement agency, the first thing you need to do is understand the nature of the request. There will be several steps you need to take right away, but the specific requirements for your situation will depend upon whether the request is a civil investigative demand, an administrative subpoena, or a subpoena from a grand jury. Certain state agencies and federal authorities have been granted statutory authority to issue civil investigative demands. A civil investigative demand (CID) is a legally-enforceable request for information relevant to a government investigation. These agencies and authorities have the power to issue civil investigative demands without judicial approval, and health care providers’ and other companies’ compliance burdens can often be far greater (and their options for challenging their obligations far more limited) than with respect to other types of requests for information. Use of civil investigative demands at the state and federal levels has increased dramatically in recent years. During this same time period, courts around the country have signaled their willingness to defer to investigative and law enforcement authorities’ judgment when it comes to the reasonableness of their demands. As a result, while it is theoretically possible to challenge a CID in court, providers and other companies will often find it more advantageous to attempt to work with the issuing authorities to limit their disclosure obligations. Work with outside counsel to structure a response that satisfies the requirements of the CID without exposing the company to unnecessary potential liability. State and federal authorities most often use CIDs in conjunction with investigations involving allegations of antitrust violations, consumer fraud, and violations of the False Claims Act and comparable laws. 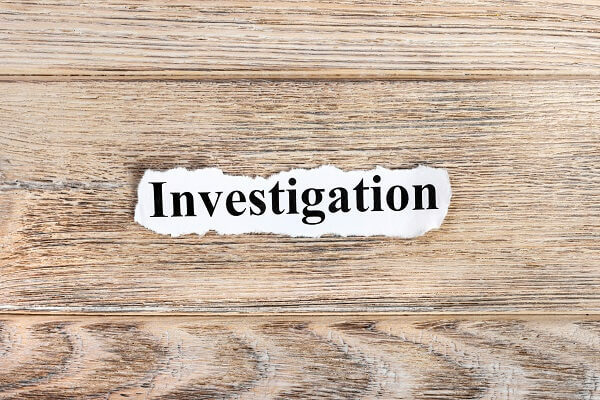 Whether your business or practice is under investigation or the government is seeking information in relation to an investigation of a third party, understanding the substantive allegations underlying your CID will be critical to crafting an appropriate response. An administrative subpoena is similar in many ways to a civil investigative demand, with one of the primary exceptions being that while a CID can request documents, written answers, and oral testimony, administrative subpoenas generally only seek documentary information. Administrative subpoenas are used heavily by federal Offices of Inspector General, including the Office of Inspector General (OIG) of the U.S. Department of Health and Human Services (DHHS). In most cases, the OIG uses administrative subpoenas to investigate cases of suspected health care fraud. This includes violations of the Anti-Kickback Statute and the Stark Law, as well as the submission of “false and fraudulent claims” to Medicare and Medicaid in violation of the False Claims Act. If you have received an administrative subpoena from the OIG, you need to begin working on your response immediately. While this response may include challenging the subpoena in whole or in part, generally speaking, health care providers and other companies need to be prepared to provide documents in response to OIG subpoenas. This is because, like civil investigative demands, the grounds for challenging an administrative subpoena are limited; and, while it is possible to work with OIG personnel, the most likely outcome of any negotiations is a reduction in the scope of the subpoena – not withdrawal of the subpoena entirely. Here are some other notable characteristics of OIG administrative subpoenas. When you receive an administrative subpoena, it is not always easy to tell whether the OIG’s investigation is civil or criminal in nature. This is something you will need to figure out as soon as possible, and our attorneys can assist you in this process. As mentioned, it is often possible to negotiate the scope of an administrative subpoena with the OIG. However, negotiating successfully requires a strategic and informed approach. Our attorneys have decades of experience on both sides of OIG investigations, and we work with the OIG to limit your disclosure obligations as much as possible. If your administrative subpoena leads to civil charges under the Anti-Kickback Statute, the Stark Law, or the False Claims Act, you could be facing substantial financial liability and loss of federal benefit program eligibility. If the OIG pursues criminal charges, you could be facing exorbitant fines and years, if not decades, behind bars. Failing to respond to an administrative subpoena is itself a serious federal offense. If you do not submit a complete and timely response, you could find yourself facing criminal contempt charges filed by the DOJ. A grand jury subpoena is very different from an administrative subpoena. The grand jury process is unique within the federal judicial system, and a grand jury subpoena is a unique type of request for information with unique implications and consequences. Federal prosecutors use grand jury subpoenas when seeking to determine whether to pursue charges for a broad range of federal offenses. This includes health care-specific offenses (such as Medicare fraud), as well as related offenses (such as mail and wire fraud) that are more general in nature. Grand jury subpoenas can request records, testimony, or both. Critically, if you are compelled to testify before a grand jury, you are not entitled to legal representation in the courtroom. You are, however, entitled to representation leading up to your testimony, and you are permitted to confer with your attorney outside of the grand jury’s presence. As a result, thorough preparation is key, and you need to make sure you have as clear an understanding as possible of the types of questions you are likely to receive while under oath. If you receive a grand jury subpoena, this does not mean that you have been charged, and it does not even necessarily mean that you will be charged after you submit the requested documents or testify in court. The purpose of the grand jury process is to determine whether there is “probable cause” to pursue a federal case. There is not a comparable requirement for civil investigative demands or administrative subpoenas; although, as a practical matter, federal prosecutors will not devote resources to pursuing a case unless they believe that they have a strong chance of success at trial. While you can be held in contempt for refusing to provide documents or testimony in response to a grand jury subpoena, you are under no obligation to talk to prosecutors outside of the presence of the grand jury. Although it is common for prosecutors to seek information informally (although a request may seem formal to someone not familiar with the judicial process), these informal requests for information can – and generally should – be denied. As a general rule, physicians, executives, personnel, and other individuals should not speak with federal prosecutors in the absence of their attorneys, and you are well within your rights to demand legal representation at any time outside of the courtroom. What Happens When You Need More Time? One thing that civil investigative demands, administrative subpoenas, and grand jury subpoenas all have in common is that they will often seek the production of voluminous records, and health care providers and other entities will often struggle to meet the response deadline. It is critical to assess your compliance obligation early, and to work quickly to develop a plan that allows you to assemble your response in time. If you truly cannot meet the government’s deadline, you cannot let the deadline pass. You must engage with the DOJ, OIG, or other investigating authority to seek formal approval. While federal investigators will often be resistant to last-minute requests that appear to be the result of a lack of diligence, with the right approach – and the right legal representation – you may be able to obtain a modification to your CID or subpoena that gives you the time you need to comply. Contact the Trusted Federal Defense Attorneys at Oberheiden, P.C. If you or someone within your business or practice has been served with a civil investigative demand or subpoena, we encourage you to contact us promptly to discuss your situation. To speak with our federal defense attorneys in confidence, call (888) 452-2503 or request a free case assessment online today.